A while a go I saw a tweet of somebody asking something like: Is open Social Media dead and where are you going to? Some people disagreed, some people agreed and mentioned that they are moving away from open Social Media, to closed groups. People are talking about topics they like, in closed groups, with others that also like that topic. So how is this relevant for Sourcing/Recruitment? Well, why should you post your jobs on Twitter to your recruiter friends or post a job on a generic jobboard which isn’t getting read by the people you are looking for? Instead of that, why not post or approach people yourself in specialised communities? People who are interested in what you are looking for, people who are active and answer questions about a desired skill. Pure recruitment and sourcing gold. This is not new and I sure did not invent this. You can find communities all over the web and people have been using that for recruitment. There are communities on Telegram, Slack, Reddit, Facebook, WhatsApp and a lot more. So these are some examples for Telegram groups that might be interesting for you, but there are more closed groups! I’m not going to cover Slack groups, I think there are already enough posts about that. There are also WhatsApp groups you can look for, full with interesting people. I did a few quick searches and joined some. Some of them are super active and are a tight community (people struggle with stuff, others help them out, lots of support) which is great to see. Please don’t ruin this! Below here are some groups or how to find groups. 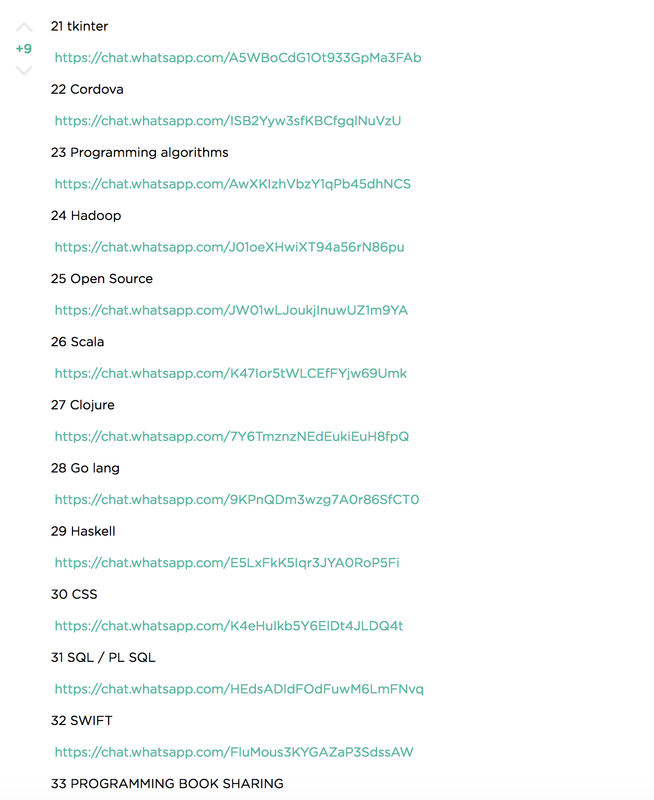 Is there any Whatsapp group for frontend developers? But how do you find these groups/communities? There are some different ways to find these groups. By simply googling (or using a different engine like duckduckgo or million short), by asking questions on Quora (see above), asking your friends where they hang out online, by building groups yourself and giving back to the community, etc. etc. Please note; people move to closed groups for a reason. I think it’s a reoccurring phenomena. Highly skilled people with a desired skill form a group somewhere, we as recruiters/sourcers find out (quite some time after) and start intruding their safe space. So, be nice! Be personal, don’t DM people directly or be careful with it, acknowledge their safe space, be open about your intentions and don’t scare people away yet again. Just don’t be a human being and respect other peoples privacy please. I like tech and more. Blogging about Sourcing & Recruitment and possibly the occasional short story.